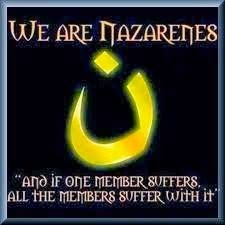 Regular readers of this blog know of my deep concern for the Christians suffering persecution throughout the world, especially in Iraq and Syria and also in Nigeria. I've been following the growth in strength and territory of the Islamic militants of Boko Haram in the north east of Nigeria for many months now, providing continuing updates here since 26 February 2014. Since the despicable activity of Boko Haram only continues to increase while most of the world remains either oblivious or indifferent to the extreme suffering wrought on so many in the name of Islam, I have decided to alter my coverage of Boko Haram by providing ongoing monthly updates (as I have been doing with the activities of the Islamic State). This series will be re-posted periodically on the blog itself, but will also remain easily available at the top of the side bar. UPDATE (02-22-15): Nigeria military retakes Boko Haram town: Is the tide turning? UPDATE (02-19-15): Can Nigeria defeat Boko Haram? UPDATE (02-07-15): We Want to Crush ISIS, but Why the Silence About Their Counterparts Boko Haram in Nigeria? UPDATE (02-03-15): Boko Haram attack: What happened in Baga? Why do spouses wear a ring on the left hand? What's wrong with the #ashtag? Why are you proud, O dust and ashes? Musuems are banning selfie sticks - Hooray!